What sets us apart from other communications firms is our extensive experience and our emphasis on providing our clients with senior level counsel and implementation. We’re more than just names on letterhead; we are actually the people who work on each account. Working with Pierce means that you will work with some of the top public relations strategists and implementers in the Capital Region. Clients have access to our minds and our hands, giving them both creative insights and the ability to get necessary projects accomplished effectively. As part of our relationships with clients, we commit to providing senior level counsel, being available at all times, acting as a member of your team and not just as a consultant, and being a proactive advocate on your behalf. Learn more about President and Founder Jonathan Pierce, APR; Vice President of Client Services Jo Ann LeSage Nelson, APR; Public Relations Associate Brianna Ferrara; and Executive Advisor Linda Hillman. 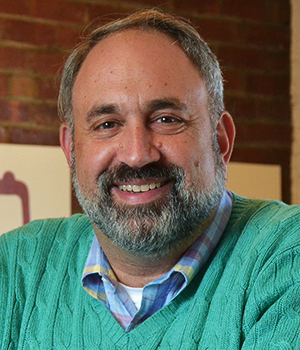 Jonathan M. Pierce, APR is the founder and president of Pierce Communications. Among his particular areas of expertise are media relations, crisis communications, and public awareness campaigns. Jon is an Accredited Public Relations professional, has twice been awarded Presidential Citations from the Public Relations Society of America for his contributions to the profession in the Capital Region, and has had client work recognized with a Silver Anvil award, the highest honor awarded by PRSA. In addition, he has been honored three times with a Mark of Excellence Award from the Albany chapter of the American Marketing Association. He has served as an adjunct professor in public relations at the University at Albany, Russell Sage College, The College of Saint Rose, and Southwestern Vermont University. In 2009, Jon was named the Outstanding Public Relations Practitioner by the Capital Region chapter of PRSA, given to a Capital Region public relations professional who has achieved exceptional success, displayed the highest ethics and is dedicated to serving the community and the profession. Jo Ann LeSage Nelson, APR, vice president of client services, is responsible for strategic public relations and communications counseling for Pierce Communications’ clients. She is an Accredited Public Relations professional, has twice been awarded Presidential Citations from the Public Relations Society of America for her contributions to the national organization. She is a member of the Executive Committee of the National Board of Directors of PRSA and its Strategic Planning, Human Resources, and Advocacy committees and has held numerous leadership positions at the local and district levels. In November 2008, PRSA’s local chapter presented Jo Ann with the inaugural Outstanding Public Relations Practitioner Award, given to a Capital Region public relations professional who has achieved exceptional success, displayed the highest ethics and is dedicated to serving the community and the profession. 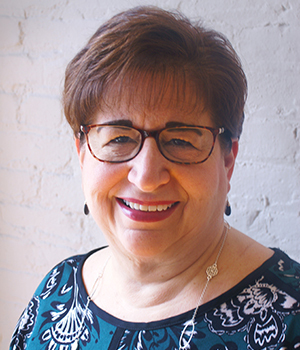 Jo Ann is a past board chair of the Rensselaer County Regional Chamber of Commerce and a former board president of Literacy New York Greater Capital Region. She is an active community volunteer and frequently speaks on the topics of media relations, crisis communications, and business writing. 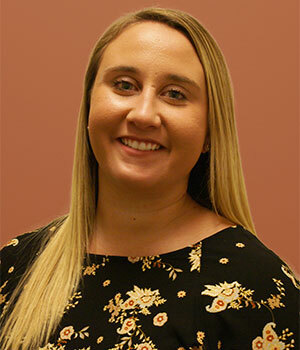 Brianna Ferrara joined Pierce Communications in November 2018 as a public relations associate. She plays a fundamental role in the implementation of strategic planning efforts for the agency’s clients and assists senior team members. Currently she is responsible for upholding clients’ brands and missions through media relations, social media, event coordination and writing copy for communications materials. Brianna is a former member of the Public Relations Student Society of America (PRSSA) and a current member of the Capital Region Chapter of the Public Relations Society of America (PRSA). She holds a bachelor’s degree in public relations with a concentration in marketing and a minor in business administration from the State University of New York at Oswego. While at Oswego, she was an active member of the college’s cheerleading team and she currently volunteers as a coach for her local Pop Warner organization. 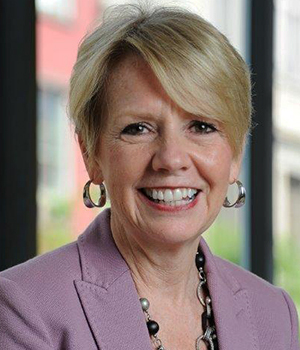 Linda Hillman, executive advisor, served as president of the Rensselaer County Regional Chamber of Commerce for 15 years before stepping down in December 2015. Under her leadership, the chamber was named “One of the Top Three Chambers” of its size in the nation by the American Chamber of Commerce Executives. Prior to joining the chamber, she was vice president of public relations and marketing for Empire Corporate Federal Credit Union. Earlier, she served as the vice president of membership for the Albany-Colonie Regional Chamber of Commerce. She is widely respected and sought after as consultant on various business and economic development matters.